As was briliiantly satarized by Bill Waterson, the cartoonist behind Calvin and Hobbes, when he depicted Calvin's "Chewing" magazine dedicated to gum chewers, there's a niche for everyone these days. No matter how specific your tastes, there exists a forum or as we illustrate here, festival, just for you! And yes, you can go beyond Burning Man. In Gilroy, California, people line up to purchase watermelon, ice cream and chocolate, all of which are laced with fresh, pungent garlic. 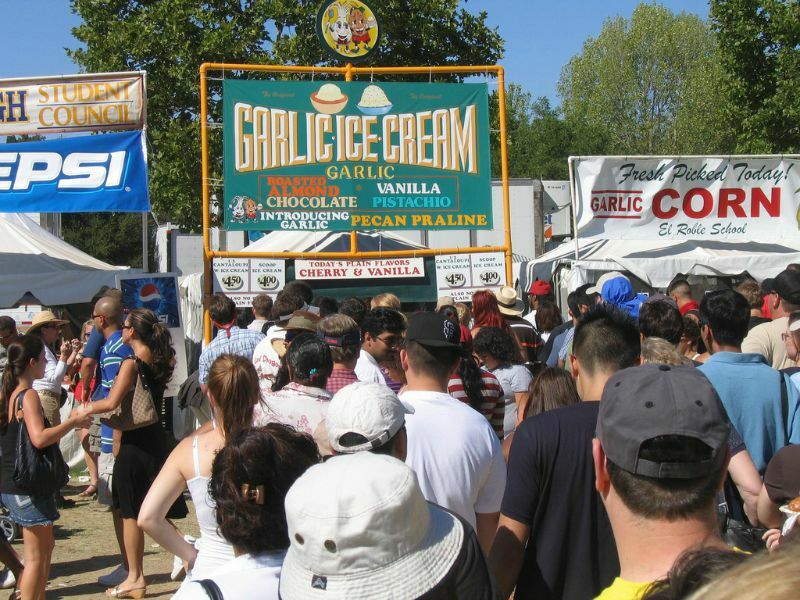 For 35 years, the Gilroy Garlic Festival has been one of the largest gatherings of foodies in the United States. Like most fairs based on a theme, this one includes its share of entertainment, music, arts and crafts and other attractions. And like many, it raises money that is donated to charities and non-profit organizations. The festival provides an opportunity for those who attend to indulge in their love of garlic and their belief that it is under-used in recipes. Along with opportunities to nosh on the tasty treats, there are competitions for professional chefs, and a Great Garlic Cook-Off contest for amateurs. One guess what the feature attraction is at the annual Great Texas Mosquito Festival in the town of Clute, about a 45-minute drive from Houston. It transforms a summer nuisance into the star attraction. When they're not competing in mosquito calling and mosquito legs contests, participants hang out with Willie-Man-Chew, the festival mascot. Billed as the largest mosquito in the world, he (or she) stands 26 feet tall, sports an oversize cowboy hat and boots, and has a proboscis that would be the envy of any self-respecting mosquito. Larger specimens of the animal kingdom play the leading role at the annual San Fermin Running of the Bulls in New Orleans, which is copied from the famous event held in Pamplona, Spain each summer. The Spanish version is named for Saint Fermin, a priest who lived during the 3th century A.D. and became the first bishop of Pamplona. While New Orleans is best known for its French history, it also was under Spanish control at times, so a festival based upon the bull running in Spain doesn’t seem out of place. However, there is one major difference. 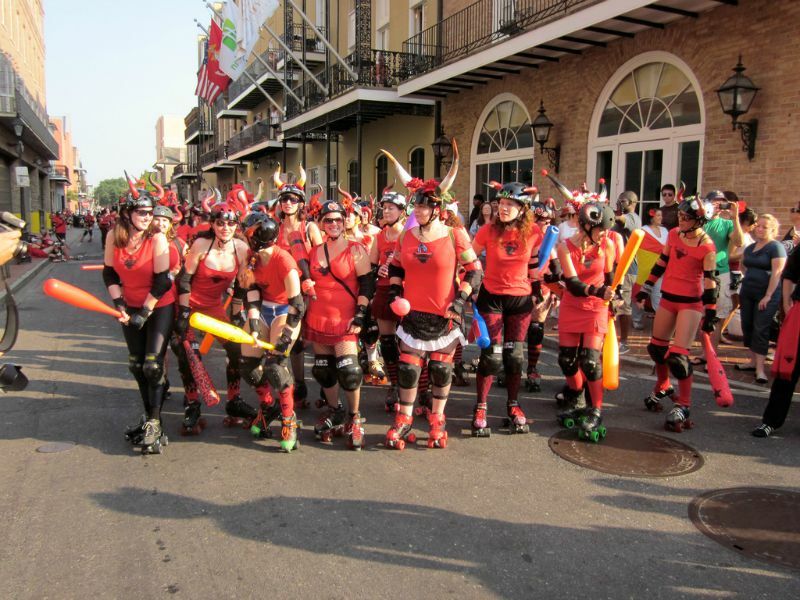 In New Orleans, participants are chased not by four-legged animals but by women from professional roller derby teams who whack runners they catch with a foam waffle ball bat. The event also includes a four-course gourmet dinner accompanied by Spanish wines, a sangria tasting and – because of Ernest Hemingway’s love of Spain and bullfighting – a contest to select the most realistic Hemingway look-a-like. The schedule of activities at most festivals includes music of some kind, and there are others at which dulcet sounds are one of, if not the, major attraction. 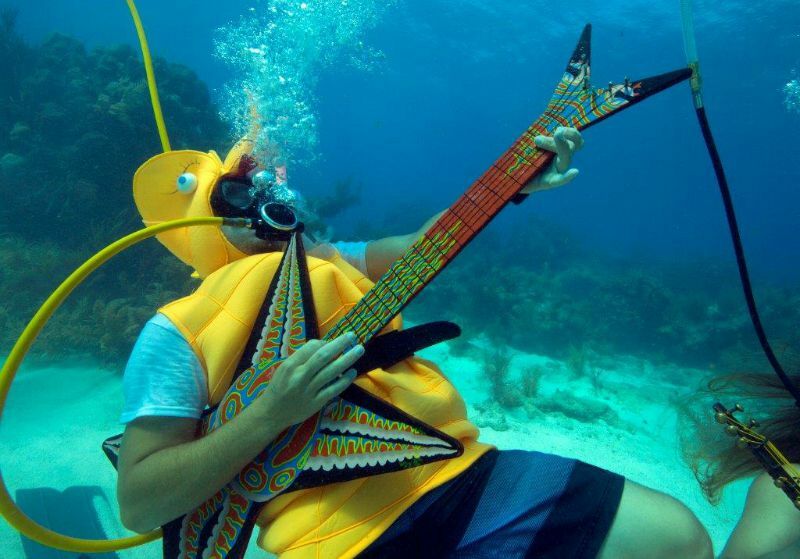 Those divers and snorkelers off the Florida coast are participants in the Lower Keys Underwater Music Festival. Each year, hundreds of people don masks, flippers and other paraphernalia and swim over magnificent coral reefs in the National Marine Sanctuary as music and other sounds waft down from above. The playlist includes melodies like the Beatles’ “Yellow Submarine” and the theme from “The Little Mermaid.” Some participants pretend to play whimsical underwater instruments made by a local sculptor. Even if you’re familiar with themes like the hymn “Ava Maria” by Franz Schubert and “Over the Rainbow” from the Wizard of Oz, you’re likely to hear them presented in a new way if you attend the New York City Musical Saw Festival. Saw players from around the world gather each year to perform solos, combine into saw orchestras and accompany singers. There are also workshops for players at all levels of expertise, including one that allow people to try their hand at saws of various designs, and a beginner’s lesson for people who have no musical saw experience. In 1947, an object crashed at a ranch near Roswell, New Mexico that the Air Force ever since has insisted was a weather surveillance balloon. Even so, a persistent group of people have clung to the belief that the accident involved an extraterrestrial spaceship, whose occupants were recovered by the military which has engaged in a cover-up. For years, the area has been the go-to destination for those who claim that our planet has been visited by aliens. Among activities are a costume contest, “alien chase,” and presentations by authors of books about UFOs, paranormal experiences and earthlings who recount being abducted by visitors from outer space. 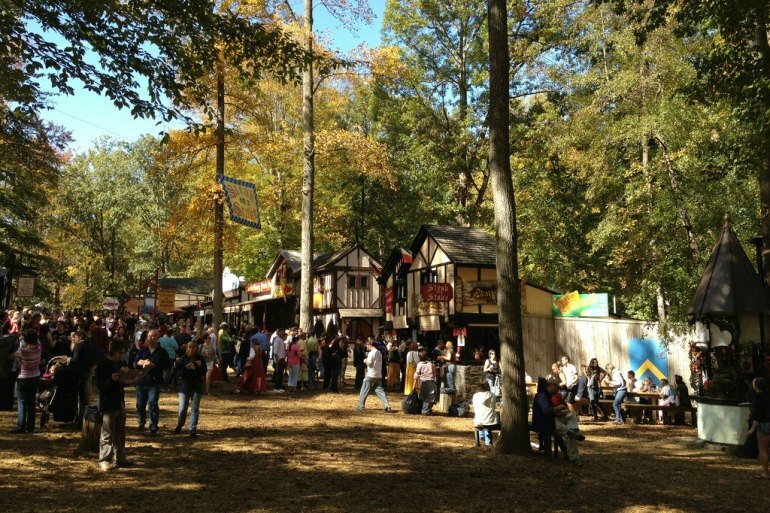 Anyone who’s a fan of the “Game of Thrones” hit TV series will feel at home dropping by one of the Renaissance Fairs that are held in a number of states. Many of these make-believe settings seek to replicate life during the reign of British royalty. The usual order of business includes an abundance of period costumed entertainers and fair-goers, musical and theatrical acts, and stands selling art, handicrafts and food. Efforts to persuade members of the audience to participate in the fun and frivolity are usually part of the scene.